Take a fresh approach to tailoring with this loosely-fitted Sundae Suiting double-breasted blazer. 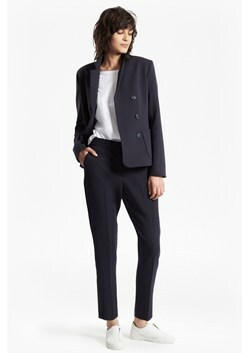 It's constructed from a textured-twill with double-breasted button fastenings and front-pouch pockets. Partner it with the matching trousers and pointed courts for head-to-toe chic. Our lead model is 5ft 11" and is wearing a UK size 8 in Summer White.